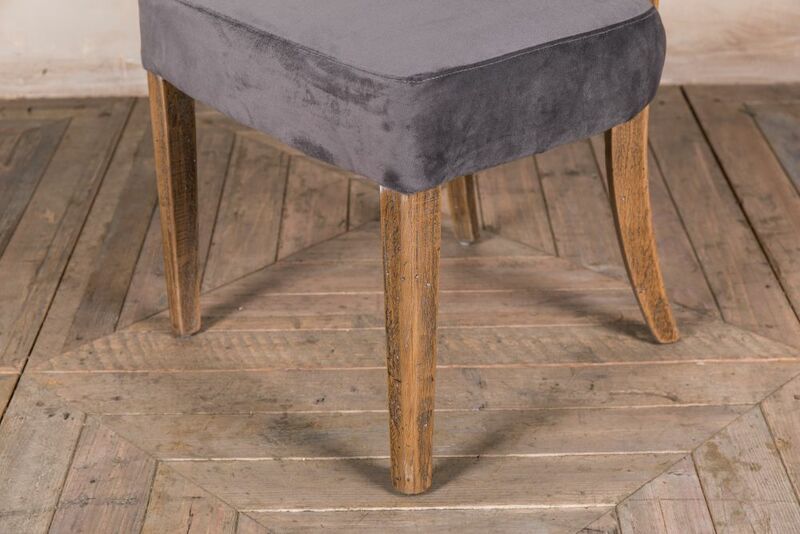 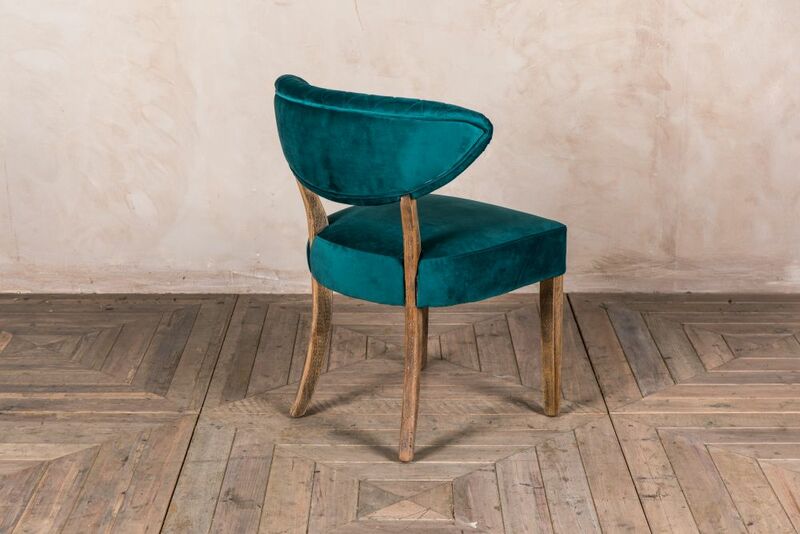 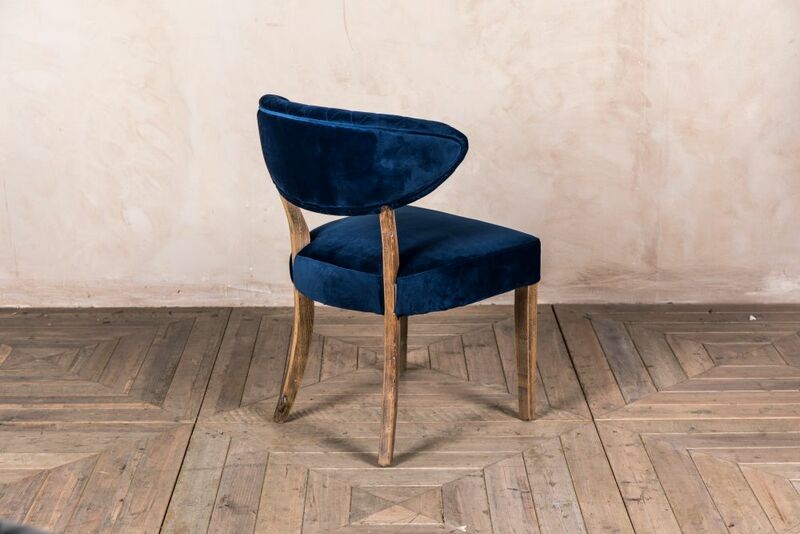 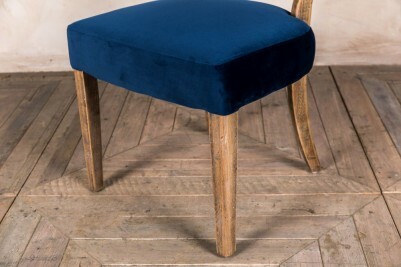 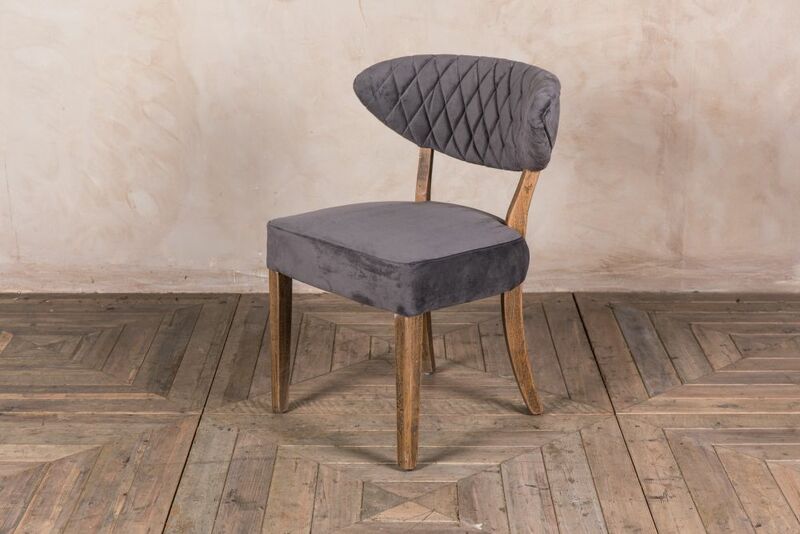 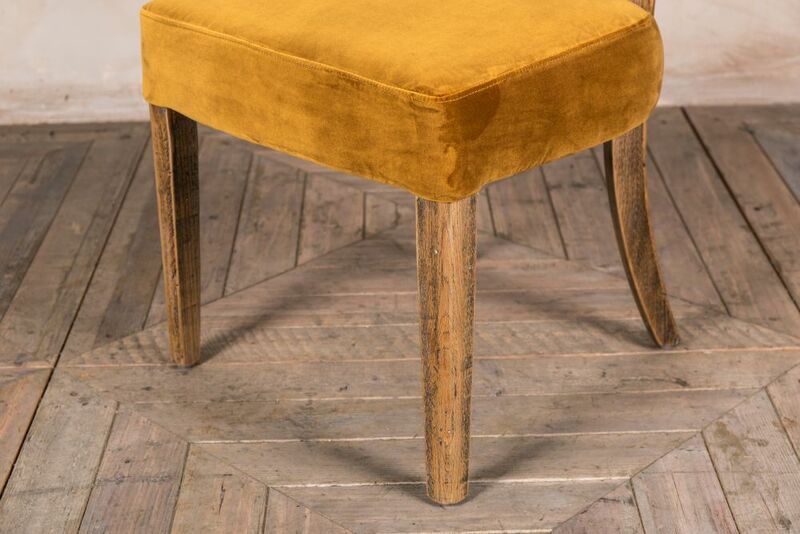 Our ‘Orleans’ velvet dining chairs would make a stunning addition to a kitchen or dining room. Their curvy retro design and bright colours certainly make them the centre of attention. 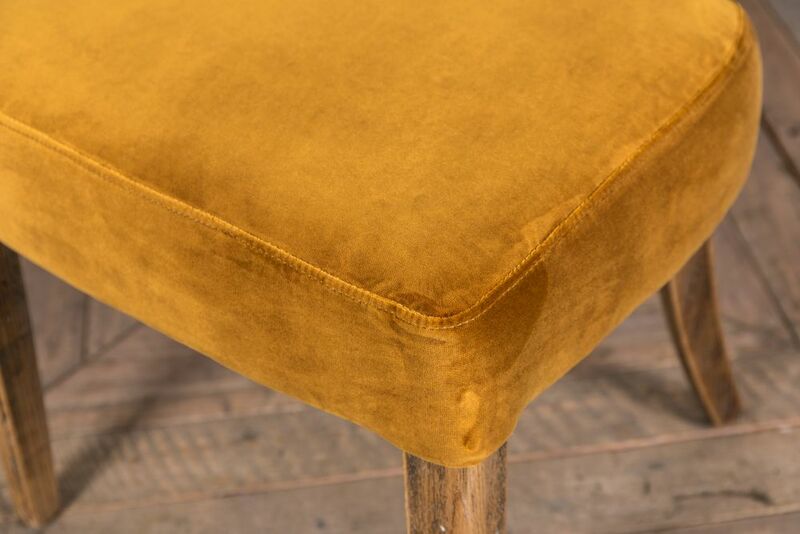 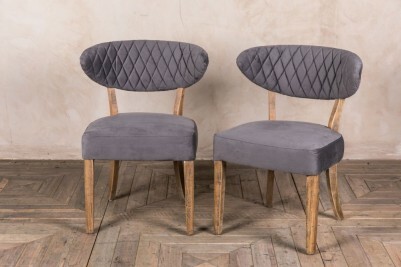 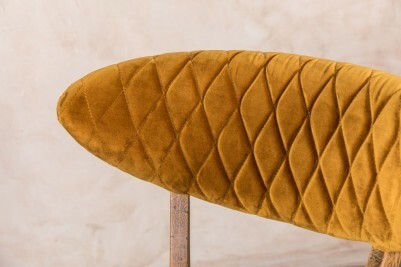 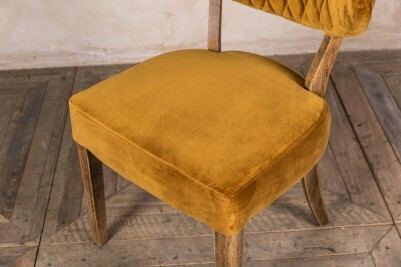 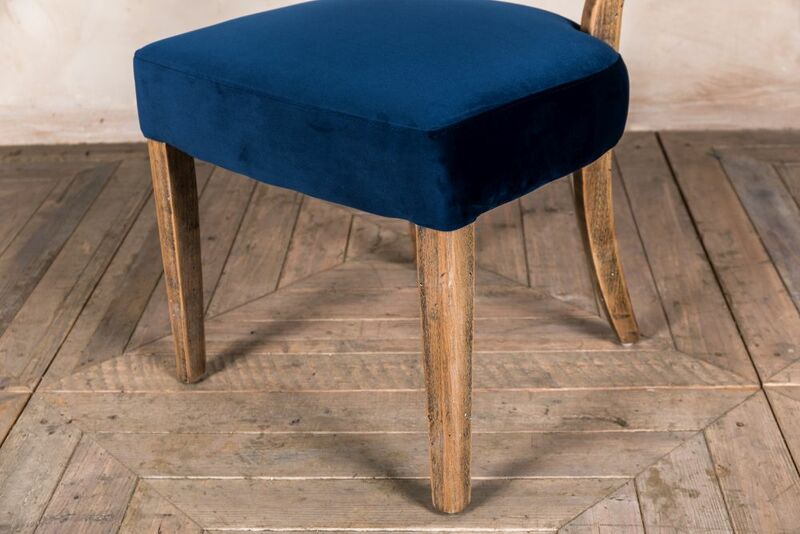 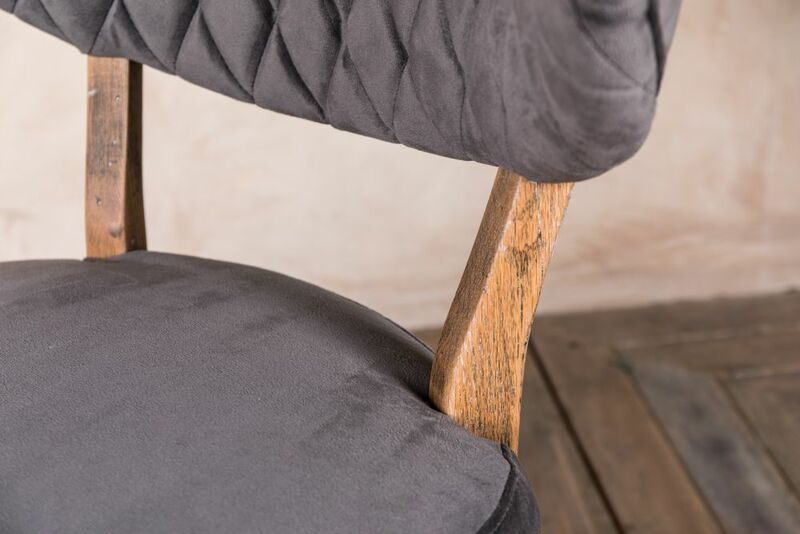 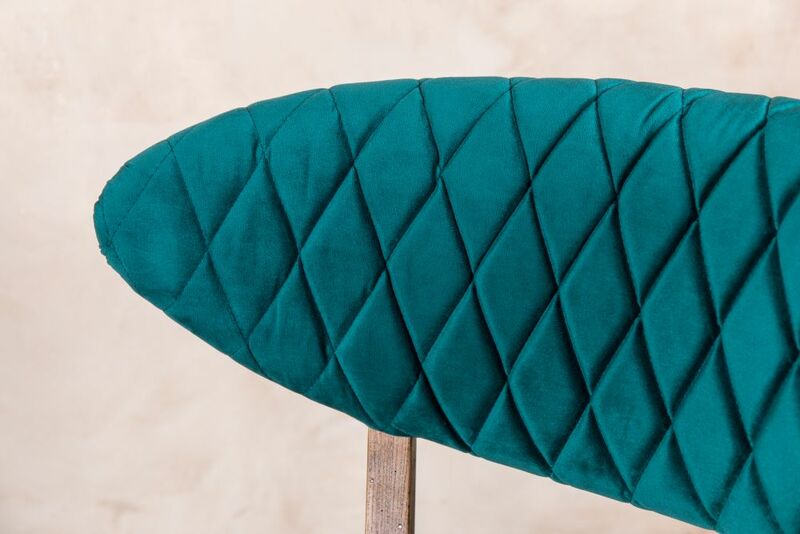 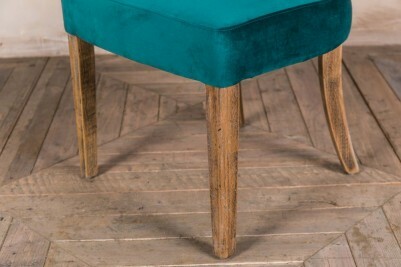 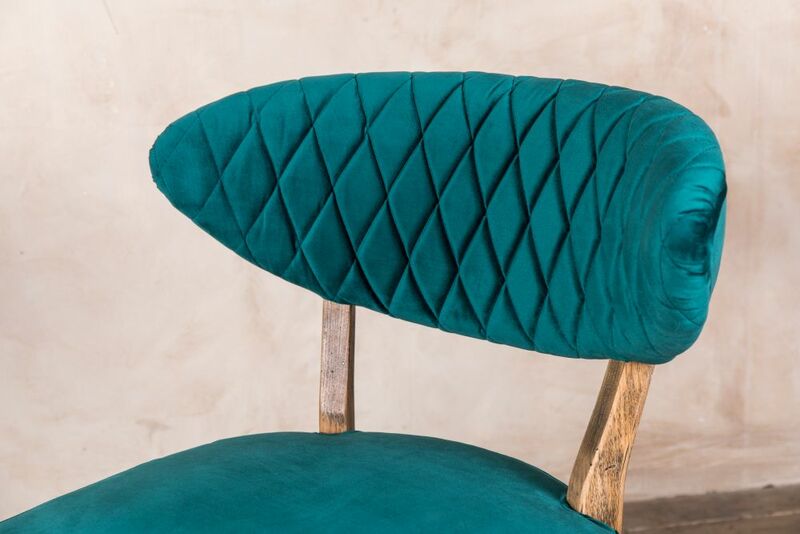 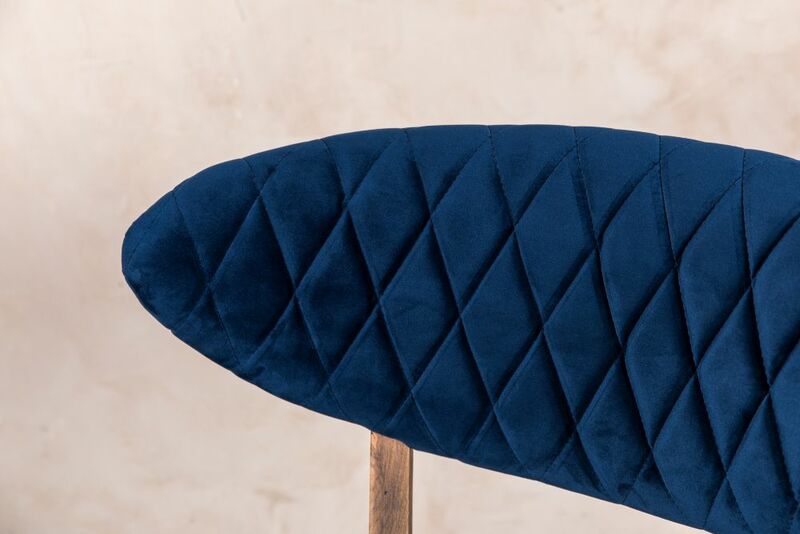 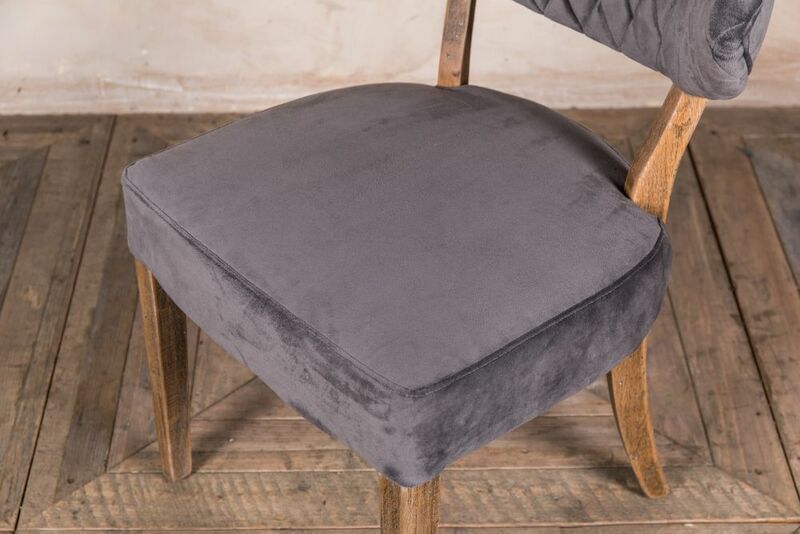 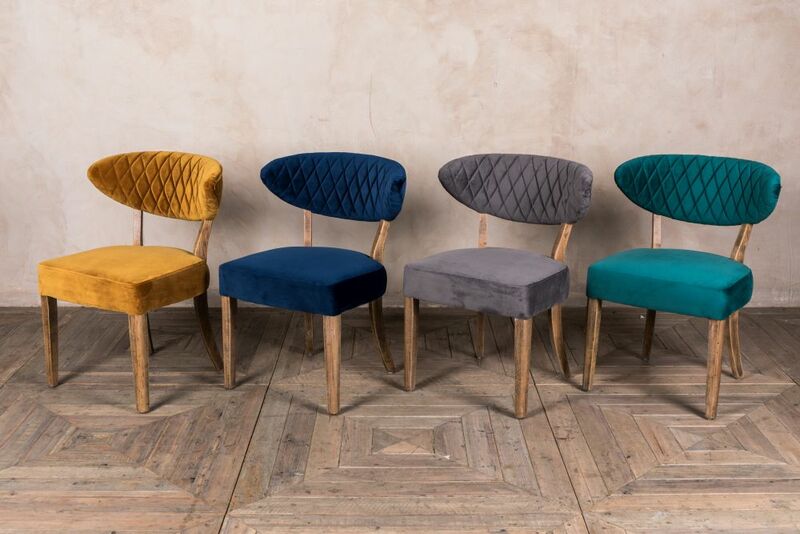 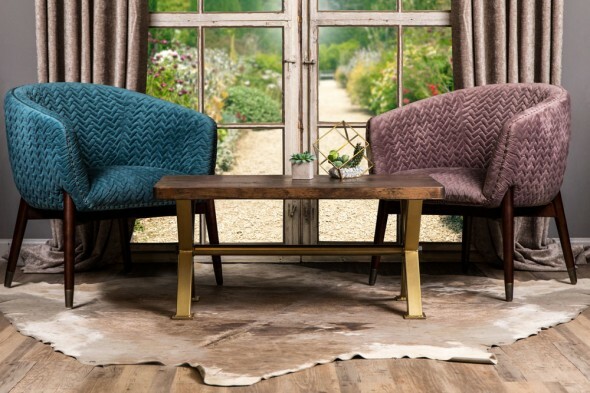 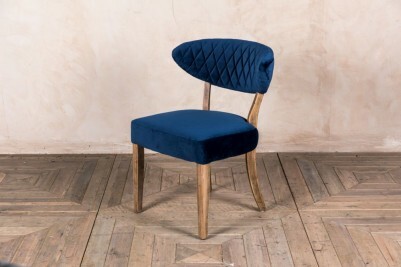 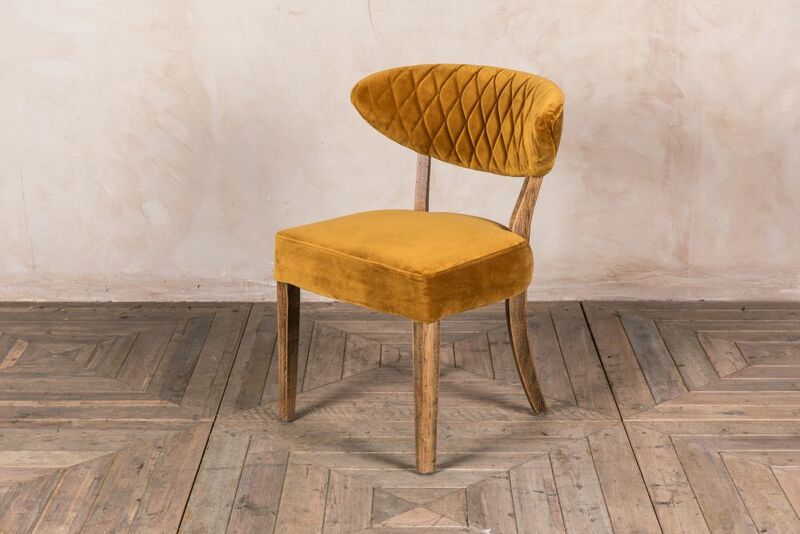 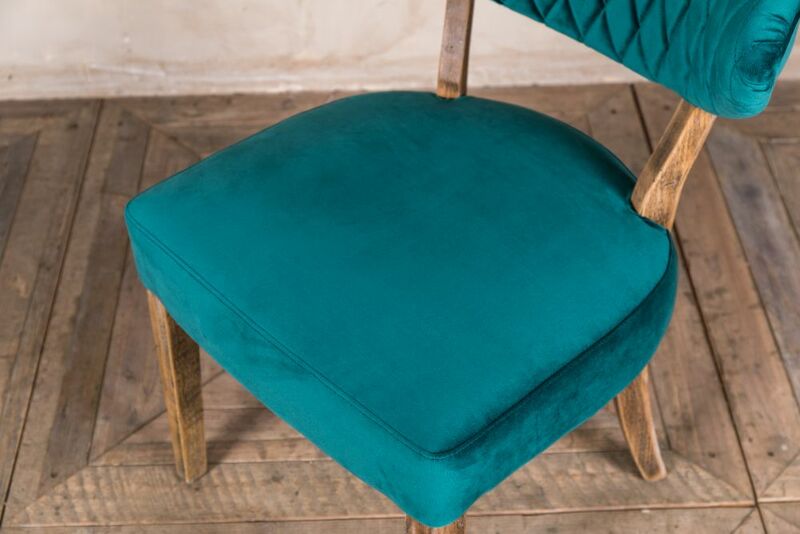 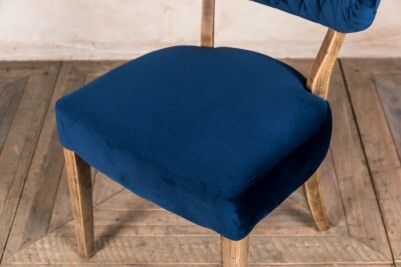 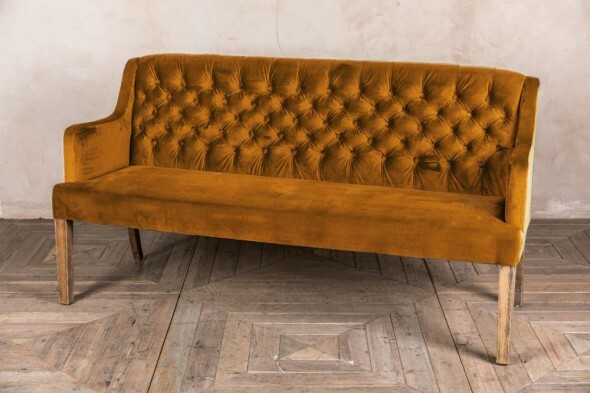 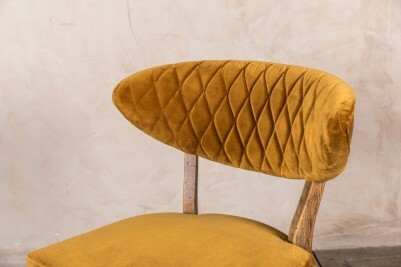 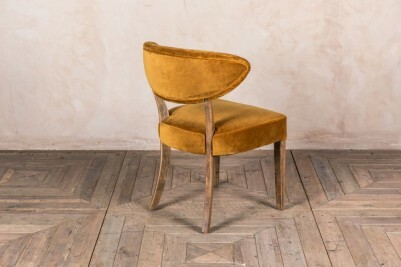 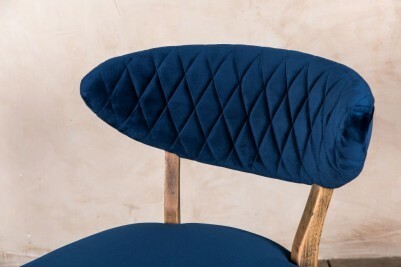 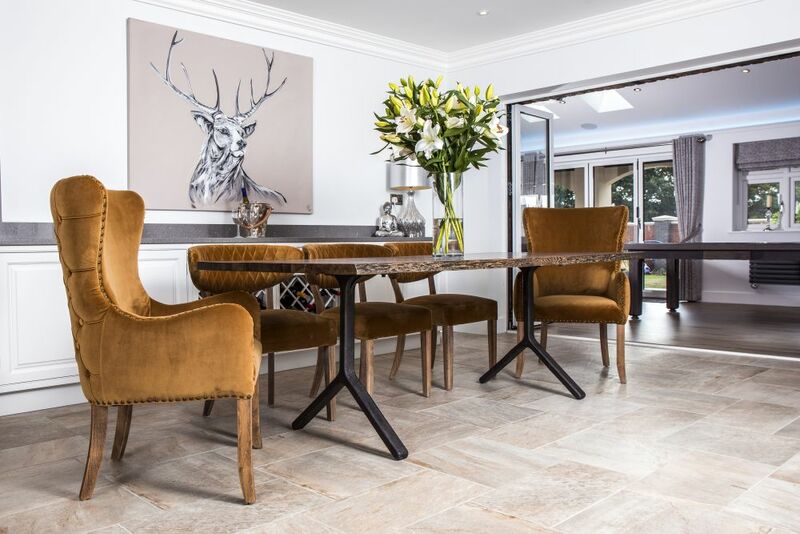 The chairs are upholstered in soft velvet, and are available in four stunning colours: mustard, navy, teal and grey. 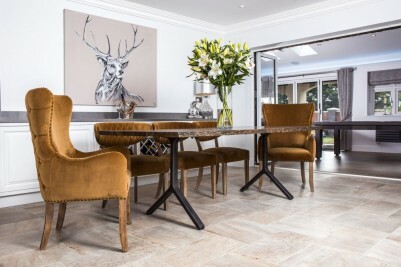 The natural finish on their oak frames would make the chairs coordinate seamlessly with other wooden furniture in the room. 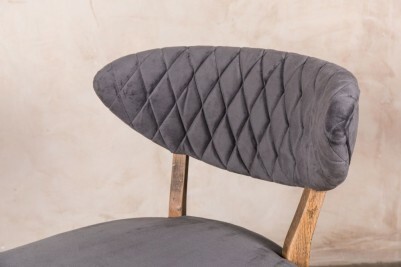 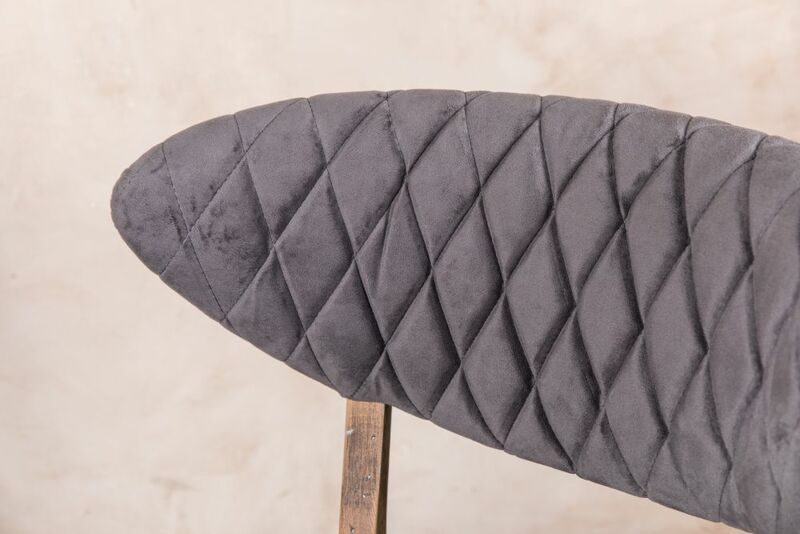 They also feature delicate diamond-shaped stitching on the back-rest, adding to their luxurious appearance. 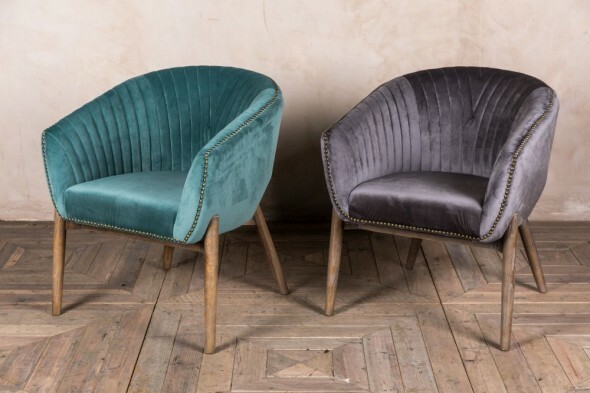 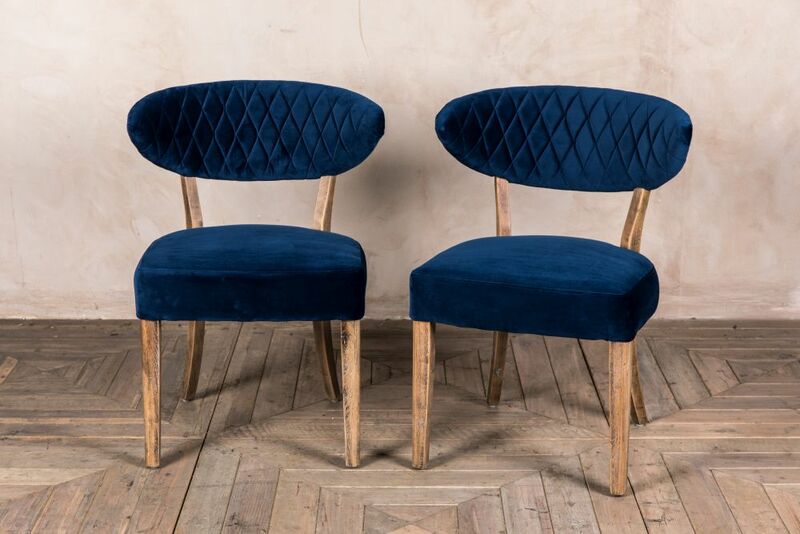 As an alternative to being used in in a home, these velvet dining chairs would look equally good in a restaurant, bar or pub. They would be especially suited to a vintage or retro style interior. 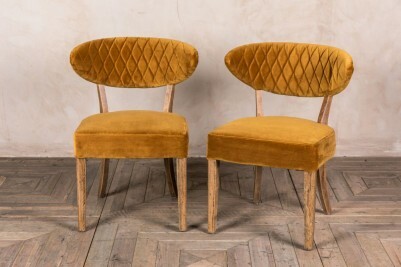 These chairs would be ideal as dining chairs, but one could even be used as an occasional chair in a bedroom or hallway. Their plush upholstery would add style to any room. 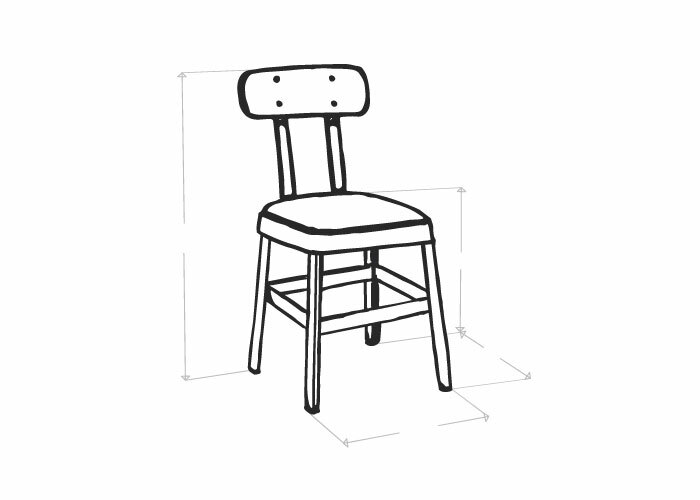 These chairs meet Crib 5 regulations & requirements.